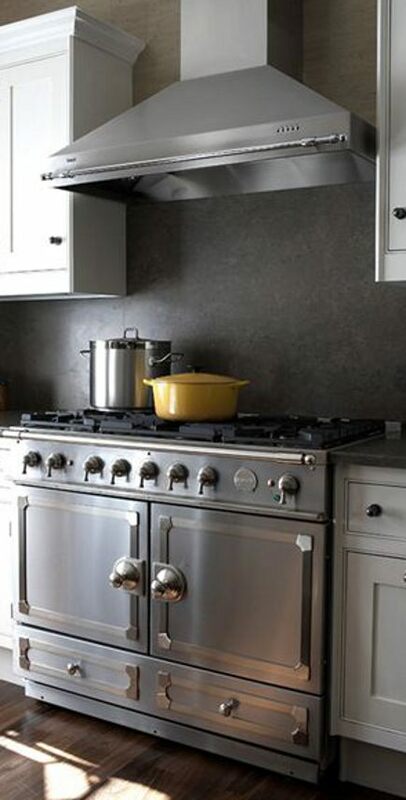 Dark neutral walls — the color of toast — add some formality to the look of a kitchen. Walls the color of well-done toast may not sound like a recipe for a style trend in the coming decade. But a quick study of this sleek-but-not-slick, chic-but-not-impractical kitchen by Swedish-born designer Patrik Lönn shows how adapting a dark neutral color scheme usually associated with living rooms, bedrooms and libraries can make a kitchen appear less kitchen-y and push it ahead of the curve. Over the past decade we’ve seen the kitchen open up to embrace eating areas at tables and bars, as well as sitting spaces with upholstered furniture and media. But removing walls and extending its reach into other rooms actually changes its nature over time — creating greater need for it to blend in with the rest of the house. No matter how functional a layout might be, most kitchens are no longer a strictly utilitarian or dedicated only to cooking. Like many high-end examples today, this one is more than amply appointed with stainless appliances: a handsome CornueFe range, additional cooktop and two Miele ovens. There’s a glimpse of the SubZero pair and an island housing a deep sink plus an eating bar. 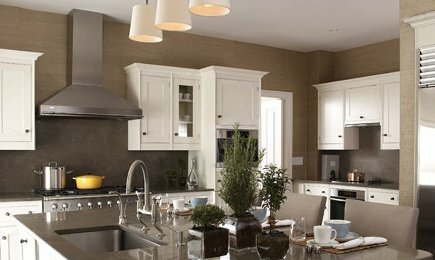 While kitchen cabinets are white, this one moves past the white-on-white, black-and-white, or Bedford gray and white formulas. There’s contrast but coherence since the walls and counters are all essentially the same color. So the appliances blend in while the cabinets stand out. 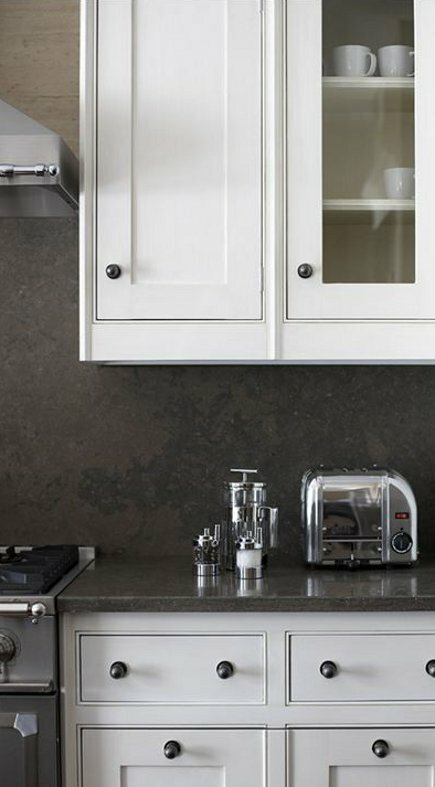 The dark taupe limestone look is used for counters and matched by a honed-texture backsplash. Looking closely above the ‘splash, it’s clear that the walls have been colored textured to resemble the stone. A crisp, white ceiling keeps the space feeling light and airy and works the cabinets like an accent color. We also admired Patrik Lönn’s gray and white bedroom, inspired by Peggy Guggenheim, in my Inspired Design Showhouse post.